Russia is not clinging to the G8 format, as all major world problems can be discussed at other international venues such as G20, Russia’s Foreign Minister Sergey Lavrov has said. He went on to say that many believe that the G8 has already fulfilled its mission as many issues are now discussed at the G20 forum. “Generally speaking, there are also other formats for considering many questions, including the UN Security Council, the Middle East Quartet and the P5+1 on the Iranian nuclear problem,” Lavrov told journalists. The Minister also commented on earlier reports regarding Australia considering not inviting President Vladimir Putin to the November G20 meeting, which is going to be held in Brisbane. 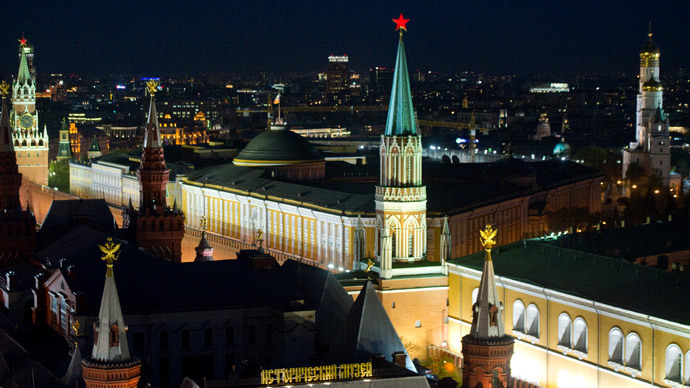 “The G20 was not established by Australia, which voiced the proposal not to invite Russia to the meeting. 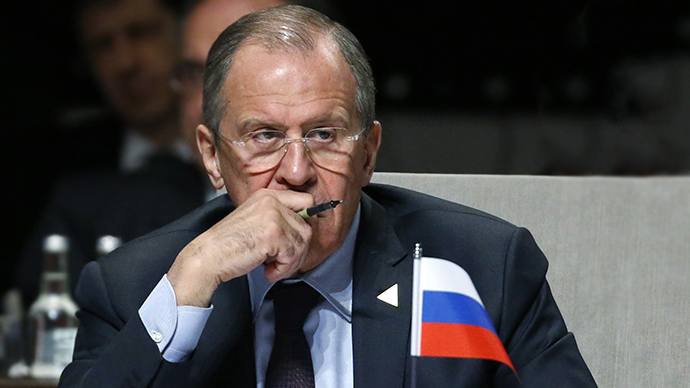 We created the format all together,” Lavrov said. In sharp contrast to the G7 leaders, the BRICS nations have expressed strong support of Russia and its president, the Times of India reported. Ministers from Brazil, Russia, India, China and South Africa (BRICS) have met on the sidelines of the nuclear summit and issued a joint statement, in which among other issues they expressed concerns over the statement of Australia’s foreign minister that President Putin should be prevented from attending the G20 summit. "The ministers noted with concern the recent media statement on the forthcoming G20 summit to be held in Brisbane in November 2014. The custodianship of the G20 belongs to all member-states equally and no one member-state can unilaterally determine its nature and character," the BRICS statement said. Meanwhile, G7 leaders – Canada, France, Germany, Italy, Japan, the UK and the US – are also holding a gathering at The Hague. According to the media, the Ukraine issue is high on the agenda. Russia’s top diplomat is in the Netherlands, where representatives of over 50 states and chiefs of the UN, the EU, the International Atomic Energy Agency and the European Police Office have gathered for the Nuclear Security Summit to address the threat of nuclear terrorism. On the sidelines of the gathering, Lavrov met with US Secretary of State John Kerry and yet again discussed the Ukraine question, which has caused quite a chill in relations between the two powers. 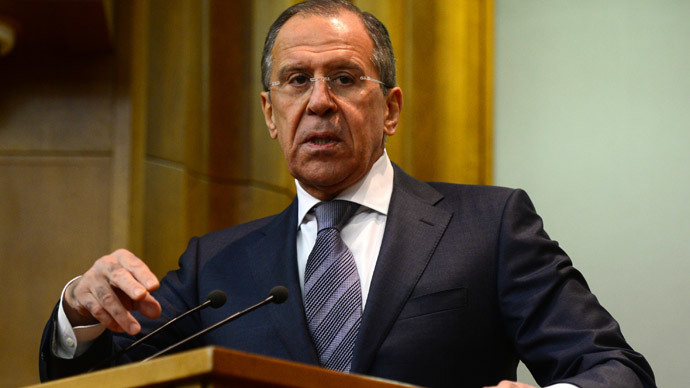 Both Moscow and Washington understand that Ukraine needs constitutional reform, Lavrov said. “We discussed the necessity to call on the authorities in Kiev to pay serious attention to the constitutional reform, which would take into consideration the interests of all Ukrainian regions,” he said. However, Lavrov admitted, that it is their evaluation of the situation and they “cannot impose” this idea on the Ukrainian leadership. Still, it would be very difficult to overcome the “Ukraine’s deep internal crisis” without such a reform, the Russian minister believes. According to Lavrov, Kerry realizes that it is necessary to “push” the Ukrainian authorities into fulfilling the February-21 agreement on the crisis settlement, which was signed by ousted President Viktor Yanukovich, opposition leaders and foreign ministers of Germany, France and Poland. On Friday, Ukraine's coup-imposed government and the EU signed the core elements of a political association agreement; this is part of the deal with the EU (that was predominantly economic) that Yanukovich put on hold in November, which resulted in mass bloody unrest and his ousting. In Lavrov’s view, the coup-installed authorities in Kiev should have waited until a legitimate government was formed in the country after elections, and should have only then decided whether to sign an agreement with Brussels. At The Hague, Lavrov met for the first time with Ukraine’s acting Foreign Minister Andrey Deshchitsa. The tete-a-tete was initiated by the Ukrainian side. 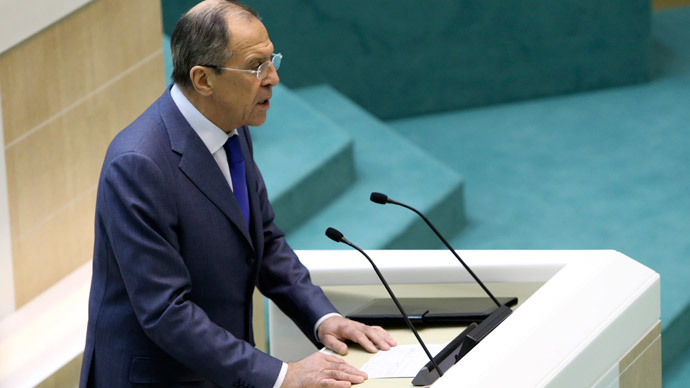 “I told him how we see the steps that officials appointed by the Verkhovna Rada (the parliament) should take in order to finally establish normal nationwide dialogue,” Lavrov said. Ahead of the meeting, Deshchytsa told journalists that he was hoping to discuss with Lavrov peaceful ways of settling the existing situation between Moscow and Kiev. 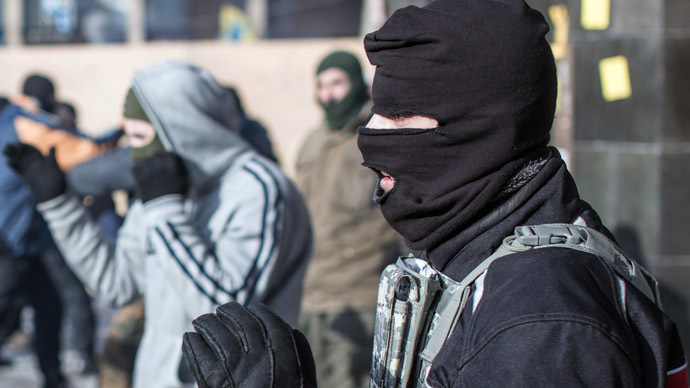 Relations between the two neighboring states - former Soviet republics - sharply deteriorated after the February military coup which brought ultra-nationalists to power in Kiev and split the country with eastern regions of Ukraine strongly opposing the new leadership and western regions of the country supporting it. 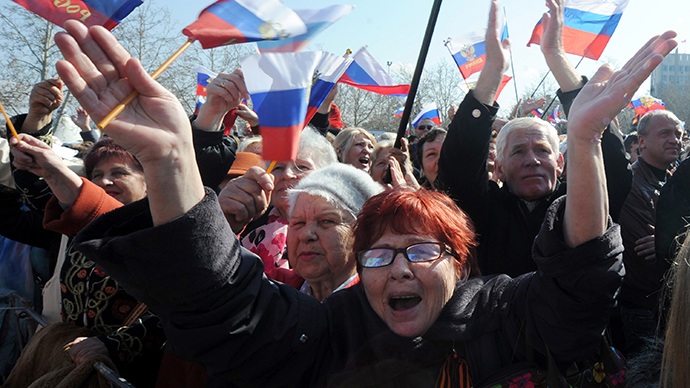 The Autonomous Republic of Crimea – home to an ethnic Russian majority – refused to recognize the legitimacy of the new government which they feared would not respect their rights. In a move that proved Crimeans’ concerns, parliament voted to revoke the law that allowed regions to give Russian and other minority languages the status of a second official language. Crimea held a referendum on March 16 where over 96 percent of voters decided to rejoin Russia rather than remain part of Ukraine. On March 21, Crimea and the city of Sevastopol officially became part of Russia - or rather “retuned home,” as many Crimeans say. The region was transferred from Russia to Ukraine in 1954 by Soviet leader Nikita Khrushchev without consent of its population.